Kristin has been involved as an actor and director in and around the Grand Rapids area since 2012. Directing credits include Annie, Kids and Willy Wonka, Kids (Grand Rapids Civic Theatre – Performance Block), And Then There Were None(Shadblow Theatre), Festival of Lights productions from 2006-2014 (Calvary Church), Charlotte’s Web, Annie Jr., and many other shows at East Rockford Middle School, where she teaches sixth grade. At Civic, she also served as SRTI Coordinator in 2017 and 2018. 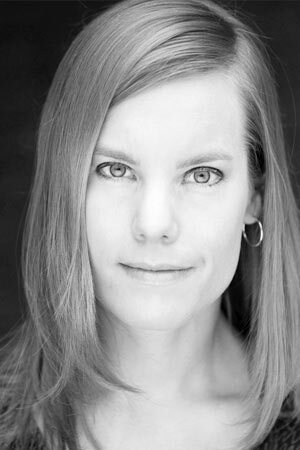 As an actor, Kristin has performed with several area theatres including Grand Rapids Civic Theatre, Hope Summer Repertory Theatre, Circle Theatre, Jewish Theatre Grand Rapids, University Wits, and Shadblow Theatre. She holds a BA in Theatre Performance from Hope College and a M.A. in Literacy Studies from GVSU. Kristin loves teaching at Civic because it is a joy to work alongside so many talented people with a heart for young artists. It’s amazing to watch those young artists as they grow, create, and take the stage! So many, this is a hard question!! I guess if I have to pick…I’d choose Sherlock Holmes or Hermione Granger.